Receiving dental care for broken, damaged, or decayed teeth is an important part of keeping your smile and body healthy. However, some of these procedures may require several visits, especially if they require the help of a dental laboratory to create a porcelain restoration. Fortunately, state-of-the-art dental techniques like CEREC, available at Comprehensive Dental Group in Stamford, CT, allow you to restore your smile in only one visit to your dentist’s office. Find out more about in-office procedures with Dr. Irina Pogosian and Dr. Thomas Ohlson. CEREC is a system which allows your dentist to create porcelain dental restorations in-office rather than relying on a dental laboratory to customize them. CEREC consists of a computer, the CEREC machine itself, and a special wand with which your dentist takes a 3D impression of your mouth. CEREC’s software consists of a CAD/CAM program which allows your dentist to digitally design and customize your porcelain restoration. 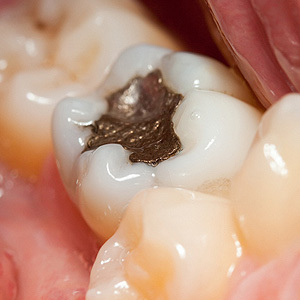 The program sends the design to the CEREC machine, where your restoration is carved from a block of ceramic. Which procedures are now available in-office thanks to CEREC? CEREC allows your dentist to create porcelain restorations like crowns, bridges, veneers, inlays, onlays, and the crown which covers a dental implant in a single visit. These procedures, if performed traditionally using a dental laboratory, normally require at least two visits which take place prior to and after the dental laboratory creating your restoration. CEREC shortens that wait time from two weeks to about an hour and requires only one visit. CEREC eliminates the need for a dental laboratory, cutting wait times down to hours instead of weeks. CEREC uses only the highest-quality materials, ensuring a natural look and a sturdy restoration which, with the right care, can last for many years. For more information on in-office CEREC procedures, please contact Dr. Irina Pogosian and Dr. Thomas Ohlson at Comprehensive Dental Care in Stamford, CT. Call (203) 359-3296 to schedule your appointment with your dentist today!